2 hour delay!! As I talked about two weeks ago, a delay means that many students stay home, making my class a more manageable size. At #MSMathChat on Monday, (Join us every Monday at 9pm EST for the best chat around!) it was mentioned that vending machines were a pretty great to talk about what is and is not a function. A quick Google search brought up an entire lesson from Springboard Math that started with a vending machine and used directed conversation and questioning to talk about the difference between functions and non-functions. It also introduces students to the concept of mapping and function graphing. I love solid pre-made lessons because I'm not great at re-inventing the wheel. I am, however, AWESOME at adding spinners, under-lighting and lift kits. The discussion went very well until I asked them to come up with examples and non-examples from outside the class. After a bit of clarification, we came up a with a few good ones. Student: "Chicken is not a function." S: "Your input is chicken, but your output could be cooked, baked, fried, roasted, whatever!" 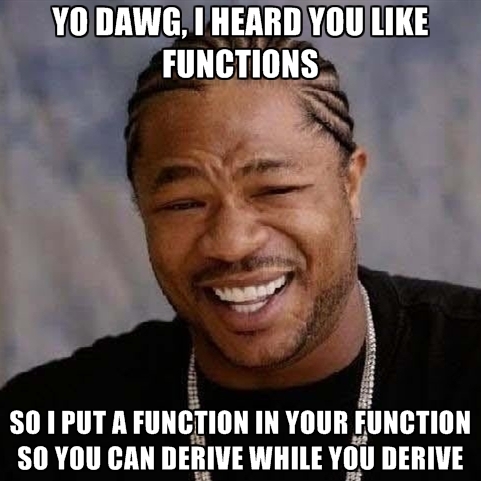 We ended up having fairly good discussions in both classes about what made something behave like a function. We discovered that it depended very highly on what you defined as input and output. The example was talked about was Dairy Queen. If your input is money ("Here's $10. Give me food") then it doesn't behave like a function because your output (the food) would be different each time. If, however, your input was your order ("1 dilly bar, please!") then it WOULD behave like a function because they would give you the thing that you ordered. It was a very interesting discussion and engaged most of the students. When someone came up with an example that was CLEARLY about another student, it was time to move on. Before 8th period started, I pulled aside the group of boys who are constantly causing disruptions. I talked to them about my concerns for their academic achievement as well as what their disruptions are doing to the learning environment. I made very sure that I wasn't accusing or attacking any of them and I framed it as a partnership that I needed in order to run class. They seemed amenable and the class went VERY smoothly afterwards. I thanked them during and after class and I'm going to make a point to do so again on Monday. I've been getting concerned lately that the geometry students are using the freedom of my class to NOT do what I'm asking of them. After our construction activity yesterday, I was worried that they were having difficulty remembering the terms that we were using. So I gave a pop quiz. Since that class is prone to pre-test hysterics, I decided that I wasn't going to grade it. I told them that it was for them and, if they were up to speed, they should easily get 100%. They took it, we went over it together. I think it helped them to realize that my class is only fun and games if they keep up their end of the bargain. I anticipate that several students will be working on things this weekend. I'm glad the week is over. It started very poorly, went up hill pretty quickly and leveled off acceptably. 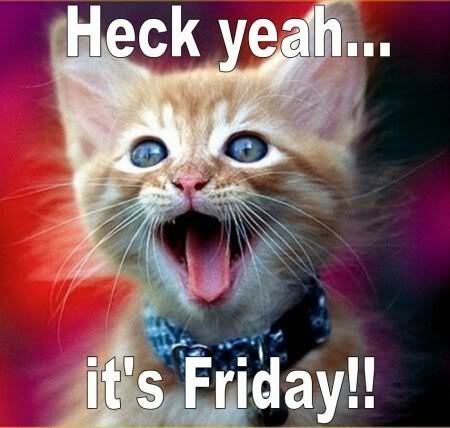 But I'm glad it's Friday. Mr. Aion's math class is all fun and games until someone flunks a test. Uh oh.